Circul8 is where people come to change the way the world talks about their business. As pioneers in their field, they’re one of the longest standing and highly awarded independent digital agencies in the game. They think playful, act professional, and are motivated by the forces of good. 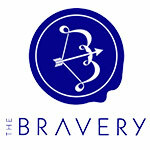 The Bravery is an award winning communications agency working exclusively with clients that have a positive social and environmental impact on our world. Providing a diverse array of strategic and creative communications solutions, they believe that good stories need to be told and are dedicated to telling them. 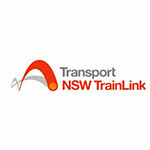 NSW Trains manages the operation of NSW TrainLink, providing services between Sydney and the Hunter, Central Coast, Blue Mountains, Southern Highlands and Illawarra and South Coast regions. NSW TrainLink brings together Intercity and Regional services into an independent business, focused on the specific needs of our intercity and regional customers, who want reliable and comfortable trains with on-board facilities. 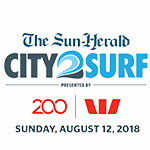 The Sun-Herald City2Surf presented by Westpac is the largest fun run in the world and has now been running for 47 years and is owned and organised by The Sun-Herald, a Fairfax Media publication. 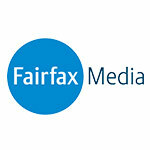 Fairfax Media attracts engaged and valuable audiences right across Australia and New Zealand. Their multi-platform media business ensures their valuable and highly-engaged audiences have the information they want, when they want it. Fairfax Media connect advertisers to their audiences in creative and highly effective ways. 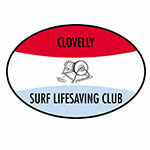 Clovelly Life Saving Club was founded in 1906 as the Little Coogee Swimming & Life Saving Club. It has a proud history of Life saving and Competition achievements. Their past members have achieved recognition through great rescue deeds and representation in Olympic events. 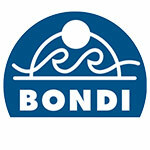 The Bondi Surf Bathers’ Life Saving Club is Australia’s oldest Surf Life Saving Club, founded in 1907. The club was officially established on 21 February 1907 at the Royal Hotel in Bondi Beach, Sydney, New South Wales. Bondi Surf Bathers Life Saving Club saves lives at Bondi Beach each year. They train, compete and manage the club to ensure they have a highly skilled group of lifesavers ready to handle any emergency at the beach. They are a volunteer organisation, and lifesavers contribute over 40 hours of volunteer effort on patrol each season, as well as time spent on education and competition. 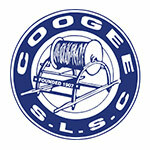 The Coogee Surf Life Saving Club was founded in 1907 by a group of concerned locals who thought that the surf bathers needed protection from the dangers and the vagaries of the surf. The Club has over 1000 members with over 400 active volunteer lifesavers and also a large junior level (nipper) membership. The Coogee Surf Club aims to keep the beach safe for visitors and to encourage physical and social activities for its members. 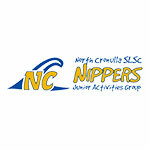 North Cronulla Nippers Club was formed in 1963 when forward thinking Club Members saw the Nipper as a very important section of the club to provide an opportunity for young people to learn, become proficient in and enjoy the skills of safe surfing and become future surf lifesavers on duty at North Cronulla Beach. 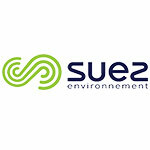 SUEZ makes the best use of water and waste by providing smart and reliable resource management solutions for towns, cities, business and industry. Their local team provides solutions that supply seven million Australians with safe drinking water, divert 1.2 million tonnes of waste from landfill every year, and enable the oil and gas sector to process resources in a sustainable and efficient way. Mama Qucha is an Australian brand that designs beautiful, functional and unique baby / beach bags and accessories. They use natural fabrics and eco-friendly dyes in their products and have a vision to create a sustainable brand that has a minimal impact on the environment and supports ethical manufacturing and happy workplaces. Mama Qucha care about our oceans, and are committed to donating a portion of every sale to Clean Oceans to help raise awareness for an issue that is so important to Australians. Mama Qucha believe in Clean Oceans’ mission to stop plastics entering our oceans and waterways and ban all single use plastics on every Australian beach by 2020. In addition, they are committed to using sustainable packaging where possible, and will work with manufacturers to achieve more sustainable packaging outcomes in the future. Mama Qucha do not use plastic in packaging customers’ orders. All products shipped are packaged in 100% recycled tissue paper and Australia Post cardboard boxes or satchels that have up to 100% recycled content, and are recyclable. Avalon Beach Surf Life Saving Club is on Sydney’s Northern Beaches, about a 45 minute drive from the Central Business District of Sydney. 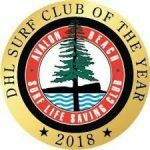 They are part of Australia’s volunteer Surf Life Saving service and are affiliated with Surf Life Saving Australia at the national level, Surf Life Saving New South Wales at the State level and Surf Life Saving Sydney Northern Beaches at a Branch level. Since 1922, Mona Vale Surf Life Saving Club has been providing a vital service to the local community. Mona Vale’s primary goal is to keep beachgoers as safe as possible during patrol hours. They patrol the beach, train lifesavers, and teach and guide Nippers, the lifesavers of the future. We pride ourselves on being a family oriented club and welcome all ages and abilities to become involved. 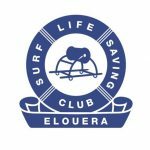 Elouera Surf Life Saving Club is fast approaching 50 years of surf life saving in the Bate Bay area. Elouera is a friendly, family oriented club, with members ranging in age from five to 80 years. They pride themselves especially on the inclusive nature of the Junior Activities Nipper program. Which is why we are committed to giving $1 from every purchase to Clean Oceans who are dedicated to stopping plastics entering our oceans and waterways, with a goal of banning all single use plastics on every Australian beach by 2020! We also source and print our paper products through Black Rainbow Printing – Australia’s first and foremost Environmentally Responsible printing service. Black Rainbow Printing have a long list of “Green Credentials” and are doing so much to preserve and protect our planet.